The Toronto Raptors have pushed their chips all-in. In a wild week leading up to Thursday’s NBA Trade Deadline, Raptors president Masai Ujiri pulled the trigger on three trades that completely changed the complexity of the roster. 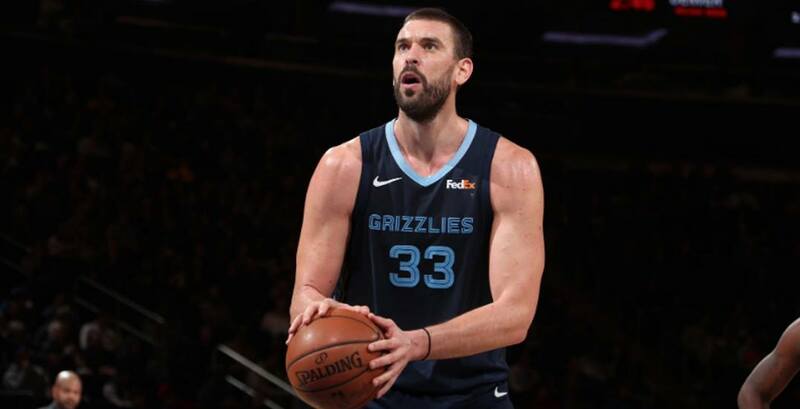 In a blockbuster deal, the Raps sent Jonas Valanciunas, Delon Wright, CJ Miles, and a 2024 second-round pick to the Memphis Grizzlies in exchange for Marc Gasol. Losing Valanciunas hurts, as he was one of the guys who genuinely wanted to stay in Toronto, but this was a move the Raptors had to make. By bringing in Gasol it proves the Raps are going for it this season. No matter how you view Valanciunas, Gasol is the better player. He might not be in All-Star form like he was a few years ago, but JV had reached his ceiling and has shown weaknesses against smaller lineups. The three-time All-Star and former Defensive Player of the Year is averaging 15.7 points, 8.6 rebounds, and 4.7 assists this season. Valanciunas was a fan favourite, but Gasol is an upgrade in every aspect. The 7-foot-1 Spaniard is better at spacing the floor, protecting the rim, passing the rock, scoring the ball, and guarding the perimeter. Gasol also isn’t a liability when closing games out, proving he can hit big shots in the clutch. The move to bring in Gasol evidently shows the short-term goal of the Raps: get to the Finals. They watched as some of the other Eastern Conference contenders made big moves at the trade deadline and, in order to keep up with the arms race, did what they had to do. The Milwaukee Bucks, who sit atop the Eastern Conference with a 40-13 record, added Nikola Mirotic, while the Philadelphia 76ers brought in Tobias Harris. It was a gamble because Gasol (34 years old) isn’t getting any younger, has had a history with injuries, and there is no proof he wants to make Toronto home, but with the possibility of Kawhi Leonard leaving at the end of the year, the Raptors time is now. Toronto bolstered their team for what fans hope will be a deep playoff run in an Eastern Conference that no longer features Lebron James. This is their best chance to get over the hump and into the Finals, and maybe even win it all. On deadline day, the Raptors also traded Greg Monroe to the Brooklyn Nets and Malachi Richardson to the Philadelphia 76ers, both in return for cash considerations. This means they have two more roster spots and will likely be trying to sign a few buyout players for the end of their bench. Toronto has played their hand. The chips are all-in. Now we have to sit back and watch.